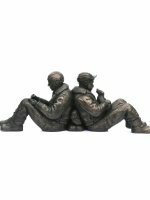 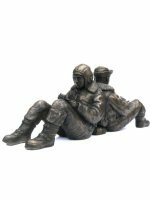 In this sculpture Peter has captured a poignant moment as the waist gunners of a B17 Flying Fortress relax on the grass during a delay before take off. 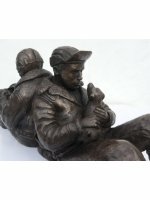 Leaning against their parachutes, one scribbles a few lines in a notebook while the other plays with a scruffy terrier. 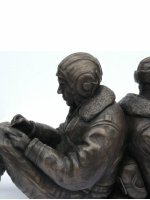 The men are wearing B3 sheepskin jackets, A3 trousers, A-6a boots, a B2 cap and an A11 helmet respectively. 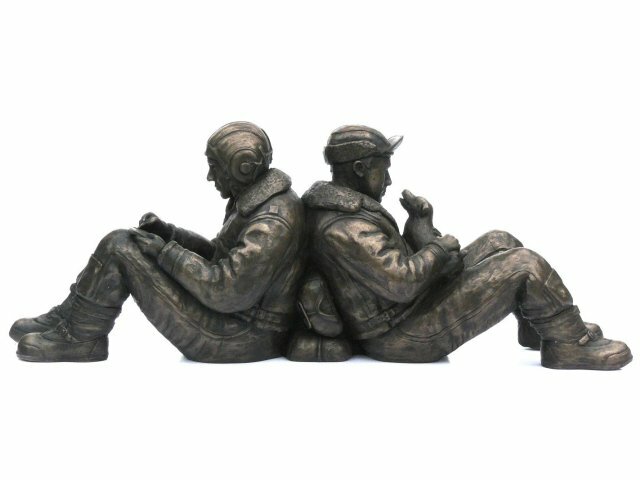 Each limited edition Waist Gunners bronze sculpture is hand engraved by Peter with its own unique edition number and will come to you with a signed certificate of authenticity.